Home » How cheap websites cost us more than we save? A cheap website doesn’t cost you directly — It cost you indirectly. Yes, when we (average 90% 👪) needs a website we start finding a cheap website developer and cheap website designing. Cheap developers are also available to make the website in INR 5999/- to very cheap website developer up to INR 2999/-. Note: Please don’t take personally as I’m using “we”. “we” representing a common tendency of people mindset. As the website is a tradition nowadays — also become a social responsibility to have a website if We are going to start any kind of business. We want to fulfil this social responsibility at the lowest price and We choose this range. But it 😐 cost us indirectly! This article especially I wrote to let the people know the importance of why we shouldn’t go with cheap website developers or company, how eventually that cheap website become more costly to us. Our website is not just website it’s us, over the internet world. The online version of ourselves! and It’s quite obvious we can’t get quality on cheap websites. Means by choosing cheap website developers we have created a virtual cheap image of ours over the internet. People have less time and internet in hand to search. 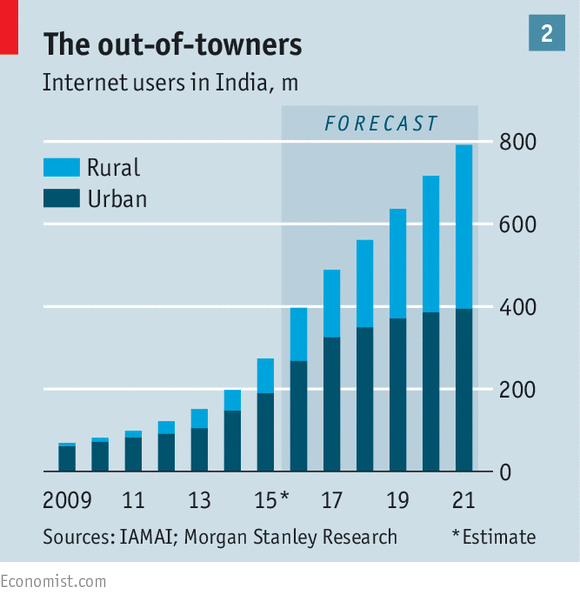 As mobile & internet become common or easy to access, even in rural areas, users moved to search everything over the internet, just before they physically met us. Bad image bad result, good/authentic image good result or better conversion. It’s practical! e.g when We see the school for our kids, We take the decision by how much We convinced with school website or looking authentic for us. Unable to convert the website visitor into valuable customers.If We see in point 3, just written above — our website should be appealing and should look authentic. if We invested some amount in the website and at the time of conversion user went away that’s ultimate loose of our investment into the cheap website. Even If we were able to convert them — he could return with reference. Lost of marketing cost.Somehow we are investing to market our website, either verbally, through banner, posters, running an online campaign, etc. But when such marketing technique works and our visitors go to our website, he/she doesn’t feel authentic or quality in our work. In reality, It doesn’t matter at what level We are good at providing our service but here We failed to represent it. Lost believe in IT Tools & we put our business in danger.When our visitors don’t convert into customers. We get frustrated, stop investing money and time. Finally, We lost to believe in the website or generating online leads through the website. It would be the reason of business shut down in the next 10 years. I listen to many customer websites doesn’t return, but that’s a myth, and believe me, if we are not adopting IT tools we will die in the next 10 years. Look wise not so authentic. Unable to handle much traffic. Unable to represent our work theme, moto. Load time is a prominent factor nowadays, why? When we go back around 2000–2010. 80% People used to have websites to show off not to earn from it. As after 2011 internet become started common among people after 2010 and it has boost after 2015. As per current trends 🐵 users are increasing, 🌐 website also increasing — but patience to wait of website loading time is decreasing for our end users. What above quote means? and how cheap website going to hurt our with this perspective. 1. Code of our website should be optimised. 2. Images should be optimised. 3. The database should be structured properly. 4. Properly lazy loaded the content of our website as per priority.https://grofers.com/is the best example of lazy loading. suppose we are running an eCommerce website and selling a product. Users search over google and we are coming at first page after investing in SEO or running PPC. The user clicked on our website and try to open our website if it slows in loading. the user simply presses the back button and open the next link. 😑 Oops! It costed us again without profit. The same case in all either we are promoting our services, products, courses anything it applies on all. Instead of searching cheap website developer we just need to change cheap tobest website developers. That’s opinion is based on my 5 years of experience. I love to get your opinion or your agreement or disagreement points with my concept. Please leave your comment. I love to answer and learn from it. I can totally related this article with me. I agree with your thoughts Anup. It’s easy to find website developers but difficult to find best website developers. Yes I agree, we just see the direct cost in india! Nice article – but I’m not technical and I just developed a eCommerce store from a freelancer over upwork. How can I check website is cheap or not? We’re writing an article over it – how eCommerce developers are developing eCommerce store with variation of price between $500/- – $5000/-. What factors comes in and which is suitable for which level of business. You will find all your answers in upcoming blogs. I just found original article over medium you did copy paste here! Thanks for reaching out – that’s our medium blog we are running! This blog is re-post of our original blog – which is on medium. We have set Canonical URL to https://medium.com/nexgen-innovators/how-cheap-website-cost-us-more-than-we-save-41abdf5c8b49. Please check in source code of this page. Thanks for reaching out 😀.